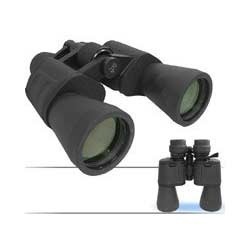 Our well reputed organization is offering an advanced meritorious range product Binocular to our elite clients. With the objective of reaching the huge demands of the customers we are offering this excellent quality product to them. Binocular is used to see far-off objects and forms a spectacular & clear image. The offered product is magnificently polished in vibrant colors, furthermore these are also a perfect gift & home decoration product. Bigger size binocular, it provides a Improved image with the help of a pair of Ruby coated Lens that increases the contrast of the image. The body provides a comfortable grip, and light weight of means you can carry this binocular on long walks, in a day pack, or conveniently latched on your belt in the supplied carrying case, sand it won’t weigh you down. A great little compact takes it anywhere!